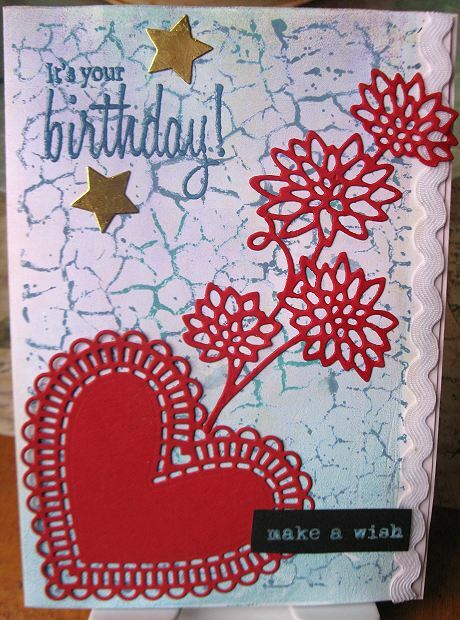 A super card, such a lovely background and pretty hearts and flowers. I’m very fond of the red and blue combination, I don’t know why, but in my mind there’s something retro about it. 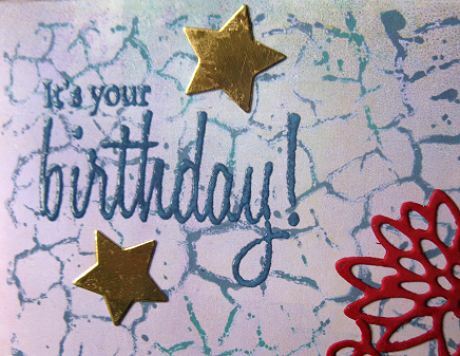 The crackle stamp is super, as is your whole design. So glad you showed this super card. The die cut is stunning and I like how you have carried the theme over inside your card. Hugs Mrs A.
Bellissima card, Alice. Mi piacono molto i fiori e il cuore. The background is beautiful (adoro la technica di crackle). Baci, amica. Grazie per la spiegazione sulla carta lucida dell'altro post. Fabulous card, Alice! You are the queen of amazing backgrounds. I love the one you created for your cat card too! 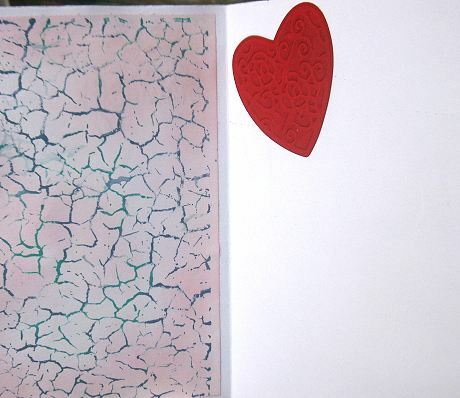 Very beautiful birthday card, Alice! You have some gorgeous die-cuts! I also love the beautiful background! Great use of rikrak - I keep forgetting to use mine and it looks so pretty here!